Cultura Profética will be presenting their show “Rimas pa’ seducir”. This “Reggae Rústico” band from Puerto Rico is touring the United States and the Americas with many sold out shows. They will be coming to Dominican Republic on September 3, 2014. This Reggae – Fusion band also ventures into other styles as well including bossa nova and jazz. Their lyrics cover mostly socio-political and ecological issues with a little romance thrown in for good measure. They will be playing at the Hard Rock Cafe, Blue Mall, Santo Domingo September 3, 2014 starting at 9PM. Ticket prices start at RD$1,550 and can be purchased at Uepa Tickets, Movie Max, Supermercados Nacional, Jumbo and Hard Rock Café. The group consists of Willy Rodriguez (vocals, bass), Boris Bilbraut (drums and vocals), Omar Silva (guitar and bass), Juanqui Sulsona (piano and keyboards), Eliut González (guitar), Egui Santiago (organ and keyboards), Roy Sanchez (percussion), Ilang Ilang Gutiérrez and Kianí Medina (vocals), Esteban González (trombone), Eduardo Cosme (trumpet) and José Ríos Furito (saxophone). 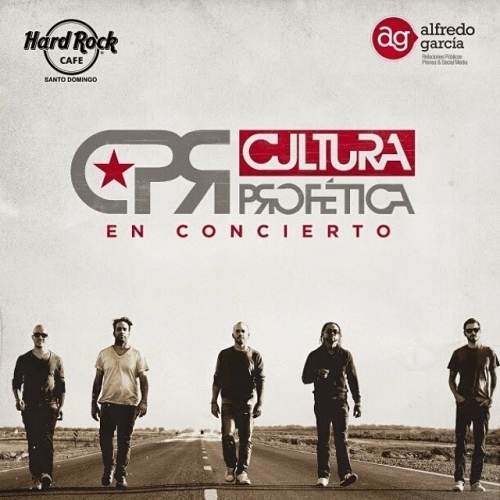 Events concert, cultura profetica, hard rock cafe, reggae. permalink.